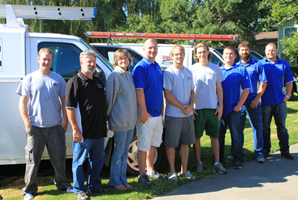 Midwest Plumbing and Service is committed to providing customers throughout the Twin Cities with the quality service that they deserve. This is why we are committed to ensuring 100% satisfaction with every job that we do. We are fast and thorough, utilize sound safety practices, treat your home as if it is our own, and we give you upfront pricing so you can make informed decisions about the services you want us to perform. If you are having issues with your plumbing, building a new home or commercial establishment, need plumbing demolished, your water heater replaced, or another plumbing matter addressed, Midwest Plumbing and Service can take care of your request in an efficient and professional manner that will meet or exceed your expectations. At Midwest Plumbing and Services, we take care of your plumbing needs by offering the services that you require. If you have a leak, a broken pipe, your hot water isn’t working, your pipes are frozen, or you are building a new property or remodeling an existing one, we are there to listen to you and take care of your needs. We can also present you with different options, when they are available, so that you can make educated decisions about your plumbing. For instance, the installation of a new faucet involves choosing a new fixture if you haven’t already done so. We can help you with this decision by showing you options that meet your specifications. This makes the process of choosing much easier for you. Because emergencies don’t wait, we don’t make them wait. This is why we offer 24 hour emergency service. If it is 2 a.m. and a pipe has burst, call us and we can instruct you on how to turn the water off to that area, if possible, and will arrive as soon as possible to initiate and, in most cases, complete the repair. 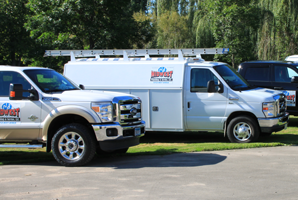 Same day repair is something we are known for because we have all of the necessary tools and parts in our trucks to fix a majority of plumbing problems on the spot. This, combined with our experience, is why we are the first company that individuals throughout Minneapolis & St. Paul think of when they need work on their plumbing. At Midwest Plumbing and Service, we give our customers 100% in ensuring that each installation, repair, replacement, and demolition is done exactly the way that the customer needs it done. We comply with local code, use the best tools, the most recent methods, and we are fast and accurate. To learn more about our plumbing services, call us today at 612-807-8968 to request a free estimate.